Ellen DeGeneres has become the latest high-profile figure to join the tens of thousands of people responding to a powerful post on the Humans of New York Facebook page. 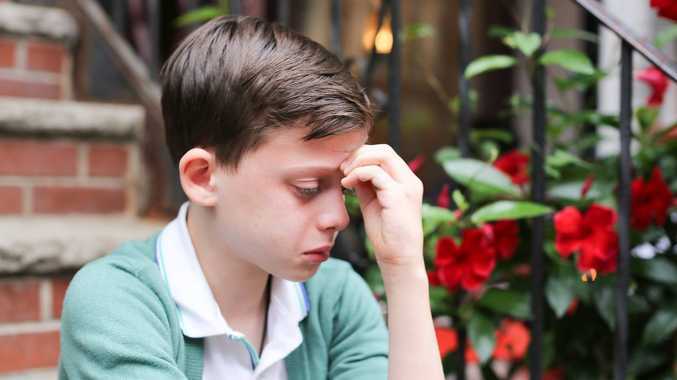 The page, which features portraits of ordinary people on the streets of New York accompanied by a short quote, posted a picture on Saturday of a gay teenage boy seemingly on the brink of tears. Alongside the image, the caption reads: "I'm homosexual and I'm afraid about what my future will be and that people won't like me." More than 570,000 people have liked the portrait, and it has received a staggering 50,000 comments - the overwhelming majority of which are positive. DeGeneres' contribution, posted by the verified account for her US TV talk show, has itself been liked around 30,000 times. She wrote: "Not only will people like you, they'll love you. I just heard of you and I love you already." Previous celebrity responses to the boy include the Democrat presidential election candidate Hillary Clinton, who wrote: "Prediction from a grown-up: Your future is going to be amazing. You will surprise yourself with what you're capable of and the incredible things you go on to do. Find the people who love and believe in you - there will be lots of them. -H"
But in keeping with the overall theme of the Humans of New York page, the best responses to the picture have been from ordinary people. Ben Gamache wrote: "I'm homosexual too, little man. My future is bright and I am loved. Most importantly, I love ME and wouldn't change a thing about myself." Louis M Zanetti said: "If you were my son, I'd love you just the same and I'd be the proudest dad." Dara Avenius said she was a publicist for a number of gay clients and tried to reach out to the boy "to introduce him to them so he can see that he can be gay and be loved and successful and happy".